After more than a quarter of a century, the Michigan Central Depot is changing owners. The Moroun family has sold it to Ford Motor Company. The once-thriving Beaux Arts gem became a symbol of Detroit's decay, after Amtrak sold it to the Moroun family in 1992. Matthew Moroun says now "the depot will become a shining symbol of Detroit's success and progress." The Morouns came under plenty of criticism while it owned the building for allowing it to fall further into disrepair. In recent years the family installed new windows, prompting Detroiters to wonder what their end game was. Moroun says his family held on to the station in order to find the right buyer, despite occasional calls for its demolition. He says Ford was that right buyer. "I know that the city was looking for a moon shot with Amazon, but I think we got what's really fitting for our city," he says. The neighborhood near the train station is likely to change significantly. Traffic could get heavier, and new development could spring up. Cory McGee was among a handful of Corktown residents who gathered to observe the Monday press conference. She says more cars and more development are okay. "It's actually kind of exciting that this development is going on in Detroit," she says. "It's a little different to have traffic, but in order for a city to come back there's gotta be things like that that happen." Ford has already moved its mobility and automation team to another building in Detroit as part of its plan to build a Detroit campus. The automaker will reveal details of the plan later this month. Is Ford the mystery buyer of Detroit's Michigan Central Depot? 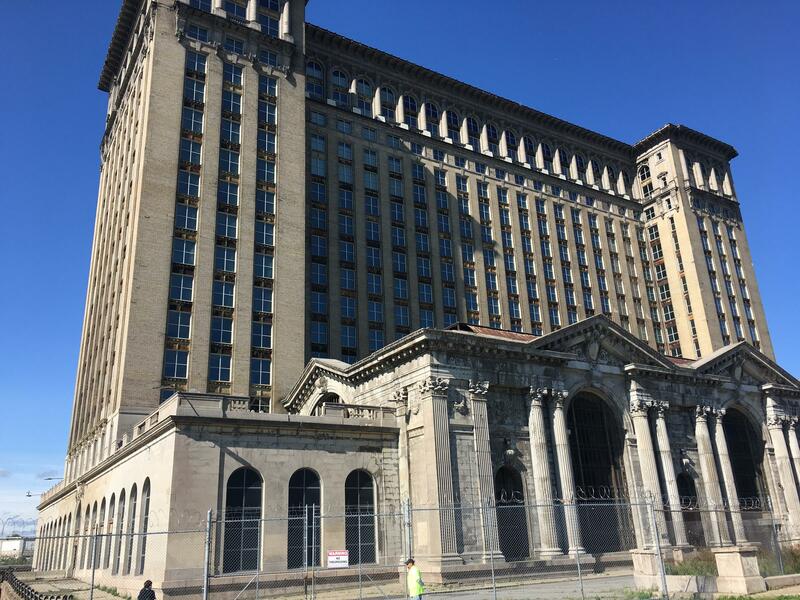 The city is abuzz with the rumor that Ford is taking over Michigan Central Station, after reports that the once-glamorous train depot — an iconic symbol of Detroit’s decay since it closed in 1988 — has changed owners. So Bill Ford wants the Blue Oval to buy the decrepit Michigan Central Depot. You know that toothless edifice, empty and decaying since 1988, towering over Detroit’s Corktown. It’s an 18-story high reminder of the industrial and financial decline that has been synonymous with this town.